• Lock-down test button for ‘hands free’ testing with auto-start operation. 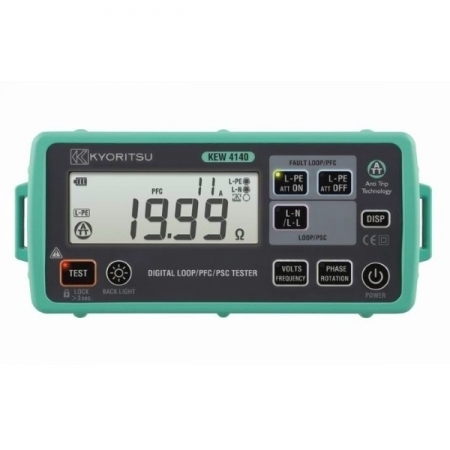 The Kyoritsu 4140 LOOP/PFC/PSC Tester comes complete with everything you need for Loop, PFC, PSC and Phase rotation testing on an electrical installation according to the IEC 60364-6 (or its national equivalent standard). 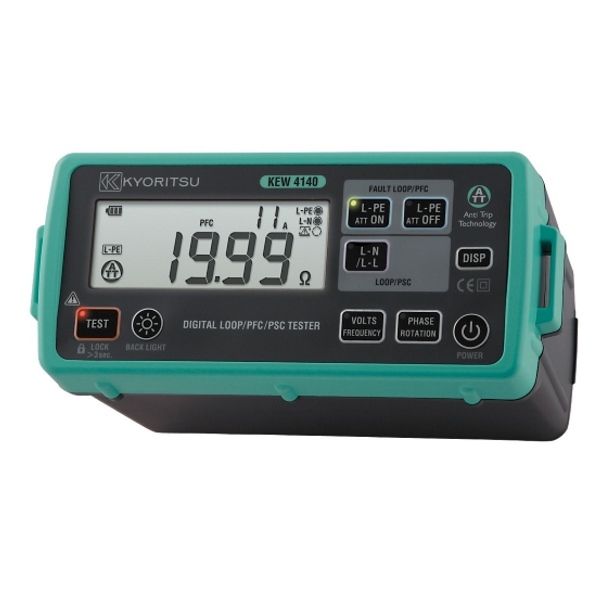 The Kyoritsu 4140 measures prospective short current (PSC) and prospective fault current (PFC), phase rotation testing and both voltage and frequency. 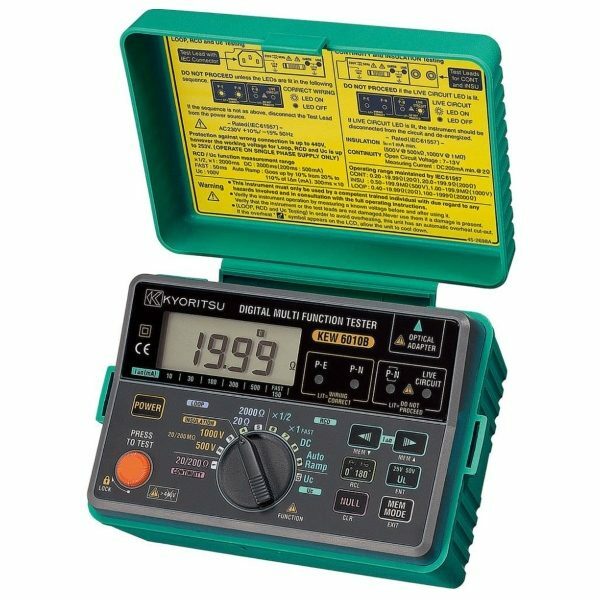 Designed to comply with an IP54 rating, the 4140 features anti-trip technology for trip free loop testing on RCDs rated to 30mA or above. 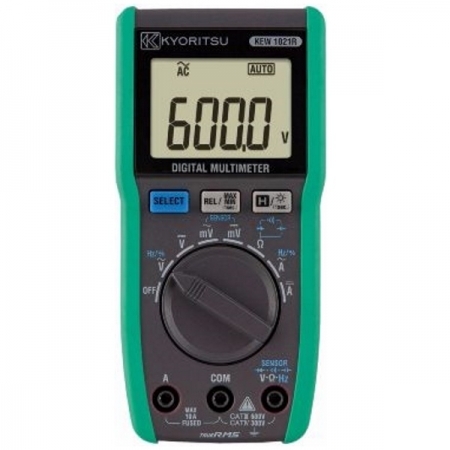 The Kyoritsu 4140 can test loop impedance up to 2000Ω via it’s 15mA AC test current. 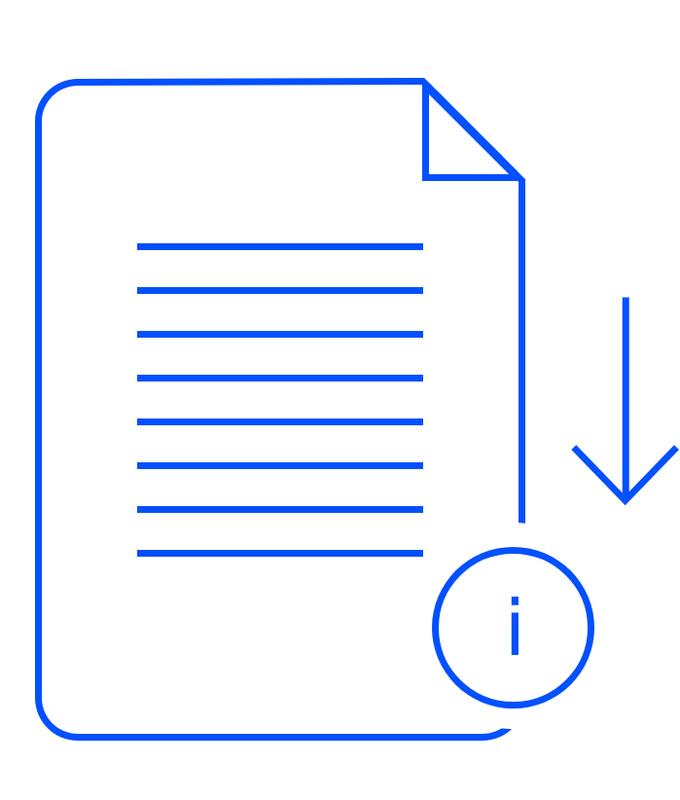 The prospesctive short current (PSC) and prospective fault current (PFC) can be read and the featured anti-trip technology allows trip free loop testing on all RCDs rated to 30mA or above. 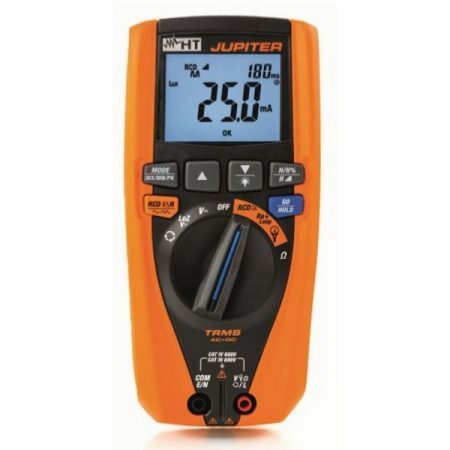 The dual digital display allows simultaneous measurements to be presented such as the loop and PFC/PSC. 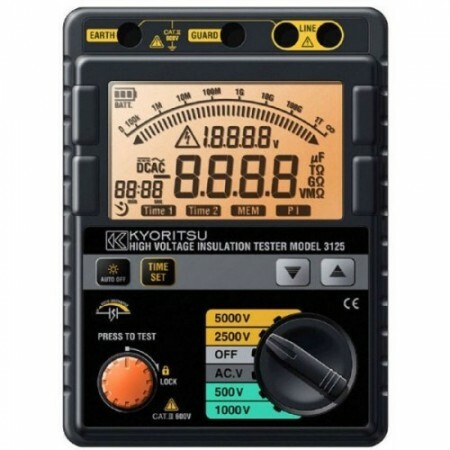 The Kyoritsu 4140 provides the capabilities for “hands-free” testing with the lock-down test button with auto-start operation. 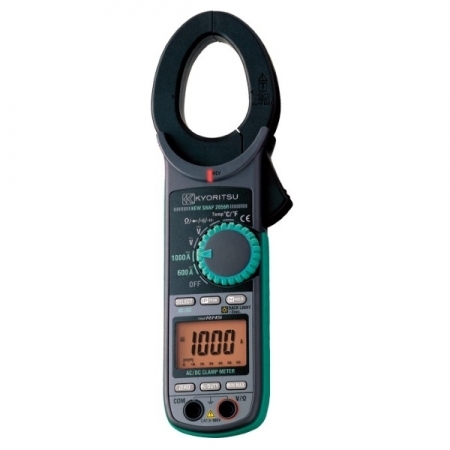 As well as loop testing, the 4140 can perform phase rotation testing and both voltage and frequency measurements. The display and front panel keypad are backlit, providing operation in low light conditions. 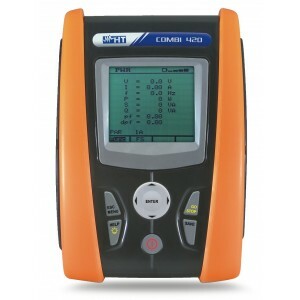 Designed to an IP54 rating, the Kyoritsu 4140 is both waterproof and dustproof. 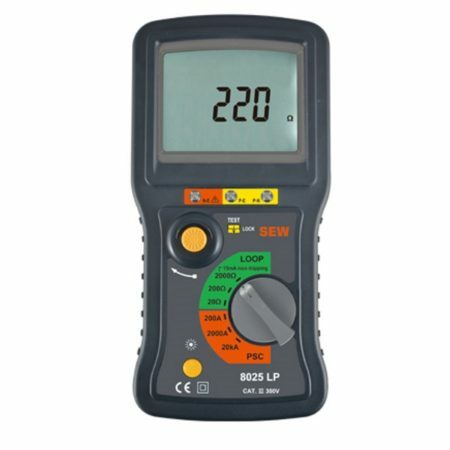 The instrument is supplied with test leads, soft case, batteries and a shoulder strap. With the Kyoritsu 4140 LOOP/PFC/PSC Tester a full set of new safety test leads is included, they have an overmould for maximum grip and are extremely robust. 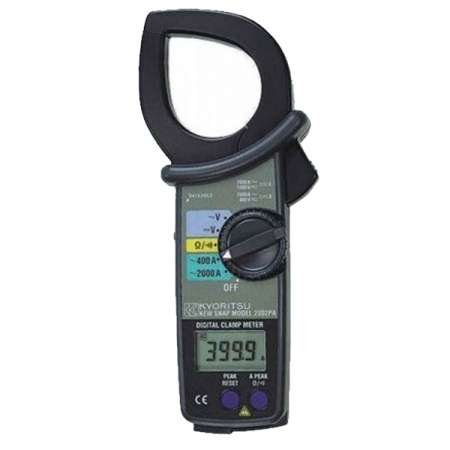 The instrument also comes in a soft carry case, a quick reference guide locates on the instrument body, a strap belt and it is supplied with a calibration certificate. 1.5V AA batteries × 6 *Use of alkaline batteries (LR6) is recommended. AUD $650.00 AUD $550.00 • ( AUD $605.00 inc. GST ) Sale!